April is a special month for many reasons, but mainly because we get FIVE Mondays, and you know what that means. 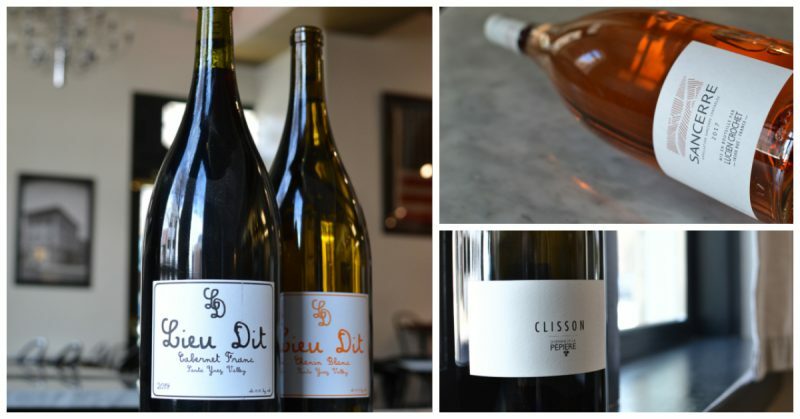 Our Marrow Magnum Monday selections this month are from Loire Valley. This fertile river valley region in France was once the unofficial capital of France for aristocrats and royals; and its rich agriculture makes it one of the country’s top wine-producing regions. What’s Marrow Magnum Monday? Each Monday, our beverage director Cappie Peete picks a different magnum of wine to offer by the glass. The magnum picks are organized by a monthly theme, giving you a chance to do a deep dive into a region or style by trying wines in large format. Monday is also the only day of the week that we offer our embered bone marrow--not to be missed! On April 1st, our selection is Bernard Baudry’s Les Grezeaux Chinon. The Loire region in France boasts some of the world's best white wines; however the reds are not to be shunned. This single vineyard Chinon is from one of the appellation's most outstanding producers, Bernard Baudry. His wines are known for their delicious texture and food-friendliness. On April 8th, we’re featuring Clisson Muscadet-Sevre-et-Maine by Domaine de la Pépiere. Marc Ollivier has become the standard-bearer for natural winemaking in the region and consistently produces wines with impressive concentration, especially this deliciously complex Muscadet from Domaine de la Pepiere. This wine shows classic aromas of pear, Meyer lemon, salty minerality and lip-smacking acidity. On April 15th, our selection is Terres Rouges Saumur-Champigny by Arnaud Lambert in a giant 3L bottle (because Tax Day deserves a little something extra). Lambert is driving a revolutionary movement in the appellation of Saumur Champigny and is re-discovering the potential of these vineyards through organic viticulture and precise winemaking. This wine is produced using only stainless steel to preserve its freshness and show off its ethereal aromas of roses, herbal tea and ripe raspberries. On April 22nd, we’ll be featuring Lucien Crochet’s Sancerre Rosé. This highly quaffable wine, produced by Lucien Crochet, is made from all Pinot Noir and continues to get better with age. A glass of this exquisitely balanced and food-friendly wines is what makes this one of our all-time favorite roses! On April 29th, we’ll end the month with Chenin Blanc & Cabernet Franc by Lieu Dit. Lieu Dit is a winery in Santa Barbara County that was founded to focus solely on the indigenous varieties of grapes from Loire Valley. Both their Chenin Blanc and Cabernet Franc display balance, elegance and purity; and they truly represent the essence of Loire Valley wines. These five selections from this incredible French region will not disappoint, guaranteed. Make your Monday reservation(s) here.